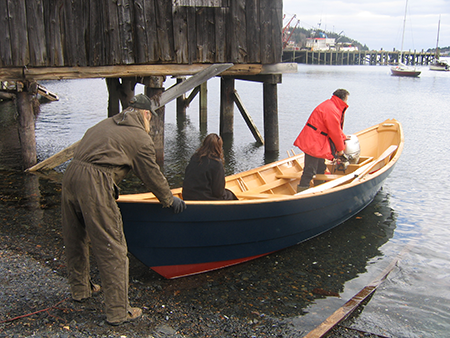 While just one size up from the traditional double dory, at this length you start to get a much bigger, beamier boat. Chances are you will want a power source apart from oars (which nonetheless remain valuable emergency kit) and this boat can accommodate a well for an outboard motor, a sailing rig or both. She can carry a big load of fish (up to 2900 lbs) or a pile of family and friends out for a Sunday afternoon picnic.